A four stage Enduro Race at Beacon Hill, starting at Camp Sekani up to the towers and utilizing most of the hill. This years race is a season ending send off, with a focus on fun and the community/partying aspect of racing, plus shenanigans to ensue. The stages will be revealed a few days before the race. No day of registration, please. 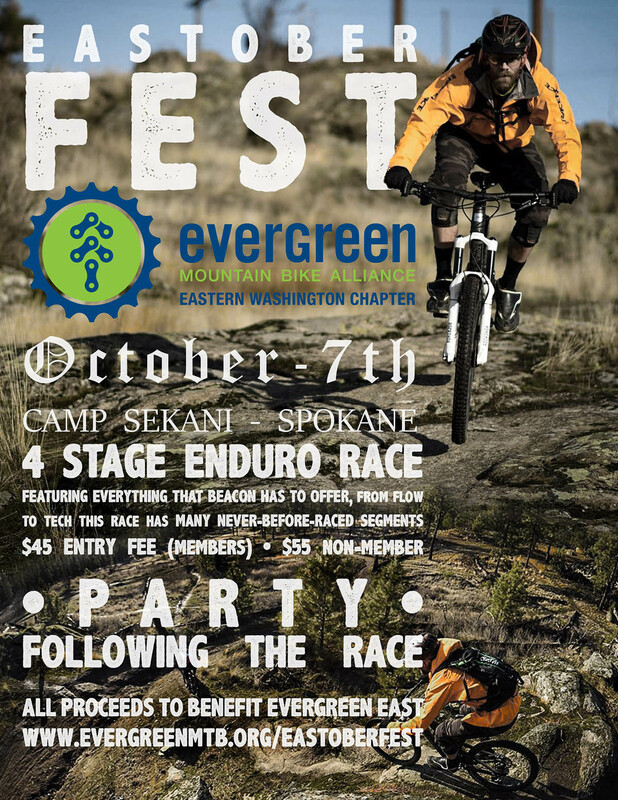 The funds from the race will go directly back to Evergreen East to support trail building and maintenance. There is limited camping and first come first serve.